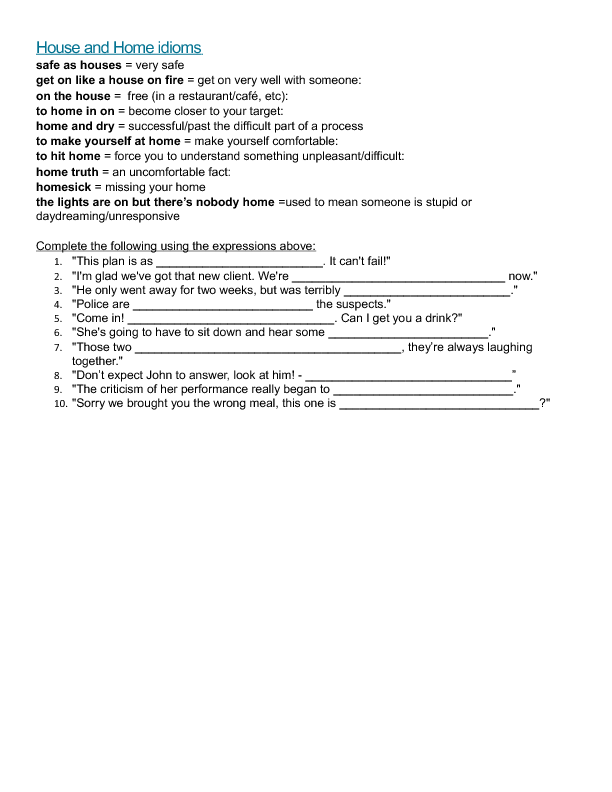 This is a worksheet used to accompany topics on house and home. 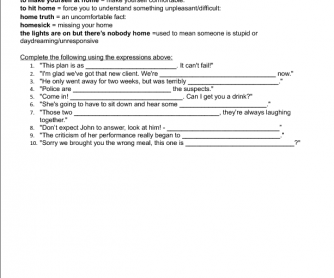 It features several popular phrasal verbs/idioms/proverbs and includes a gapfill exercise to check understanding. I have used this to accompany sections of an FCE book that deal with this particular topic.